No surprises from me this year. 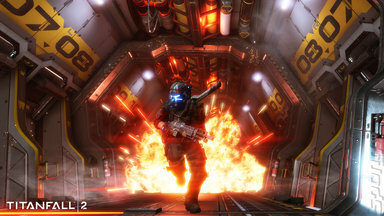 In a year that's been full of absolute quality it's Titanfall 2 that shines the brightest. It's a game that takes what it Respawn did in the original and improves on it in almost every way resulting in something that is so fun to play that it's incredibly difficult to turn off. One round finishes, you'll want to play another. It feels like an arcade game that tries to pile as much fun into your skull in as little time as possible in order to keep you from spending your cash elsewhere. It took me by surprise, really. I spent hundreds of hours on the original and enjoyed every moment but after playing the beta of the sequel earlier in the year I found that I couldn't get the same satisfaction out of it. That was until I got my hands on the final release and it was clear that Respawn wanted you to change the way you played. The new systems that seemed to be a step back for the series soon nestled into how you played and once everything finally clicks it feels like every new addition is there to add new layers of fun to what you're doing. The battery system for the titans themselves is a great example of this. Once you understand the advantage that stealing a battery from an enemy titan offers you'll be looking to steal as many of them as possible, but it's not as easy as it seems. Stealing one leaves you exposed as you'll be highlighted to fellow pilots and titans alike the moment you turn thief. You'd better have a decent exit strategy before jumping in and if there's one thing 2016 has taught all of us, it's that you're a bit of an idiot if you go in to a situation like that without thinking of how you're actually going to complete the task. 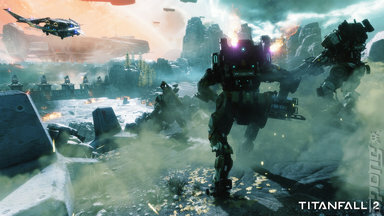 The introduction of a single-player mode seemed almost irrelevant when it was announced, but with Titanfall 2, Respawn manages to grab hold of your expectations and stomp on them with a giant robot. 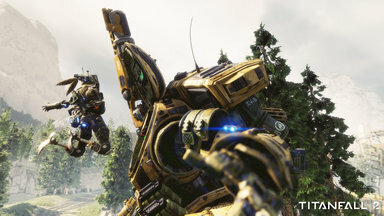 It's innovative, exciting and fun from start to finish and when coupled with one of the best multi-player shooters I've ever played it makes Titanfall 2 not only my game of the year, but one of the best games I've ever played. Dave Turner is a co-host on The Computer Game Show and a regular contributor to SPOnG.